I'm so excited to share this conversation with you! 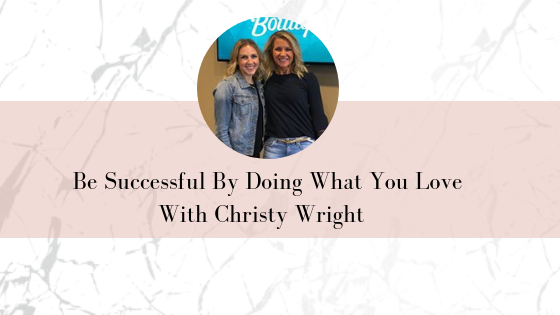 I recently had an interview with Christy Wright who is a Dave Ramsey personality and the face and the name behind the brand Business Boutique. Today you will hear story after story of never-before-heard experiences in Christy Wright's life that brought her to where she is today. Not only that, Christy opens up about a recent experience that was pretty traumatic and that she is still recovering from. Let's dive in! If someone is not familiar with Dave Ramsey and Ramsey Solutions, do you want to explain what that is, your background and how you started your business? Christy: “Sure, I would love to! My official title is Ramsey Personality. Really what that means is, Dave Ramsey, the man and the brand and the business owner is thinking about the future. And so we have 800 team members, it's a $100 million organization and so he started thinking about 5-7 years ago, thinking about the future. What does it look like when this company goes beyond him? How will it be led from a leadership standpoint, organizationally and also the brand, the personality driven brand that is helping so many people. That's when he created a leadership board that actually now runs our organization that he's obviously a part of, as he is leading it as the CEO. He's still the main personality but he wanted to be able to have this hand off to other personalities that carry different messages to different markets to reach more people into the future. That's where the whole idea of Ramsey personalities was birthed and so I am a Ramsey Personality and my main focus is helping women start businesses. So, it might be a side business, it might be a small business but helping them start and grow them to their level of success, to their version of success. 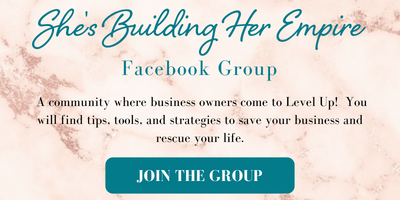 And so we really do that through the brand I've created called Business Boutique where we're all about equipping women to make money doing what they love! Everybody should have an exit strategy that can go on with you but without you, so I love that Dave is doing that! I love that it's such a win-win for him and the personalities coming in because I can only imagine the perks, the pros and cons of something like this and I hope people are looking at building a sellable and scalable business. How did you get started with Ramsey Solutions? Christy: “It's a crazy story, Stacy! I'll give you the nutshell version because I know we don't have a ton of time! So, I was working at the YMCA in Tennessee for 3 years and it was in nonprofit and like a lot of nonprofits, you do work that matters but you get burned out. You work a lot of hours for not a lot of pay and it just gets discouraging. So, after about 3 years of working 80 hour weeks, making entry level salary, I was feeling burned out. I also was feeling God calling me to do something different but I felt this tension because for me, I loved the work that we did. I love that fact that we did work that matters, we changed lives and we could really help people through the YMCA and so I know this is crazy but…I was on my deck one day. I was 26 years old, I think at the time, and so I was on my deck and I was praying and I was like, God, I know I'm supposed to do something else, I know it's time for me to move on, but I just don't think I'll ever find a company that I believe in as much as the YMCA. I felt the words in my head, “You're going to work for Dave Ramsey.” Now Stacy, I don't know who Dave Ramsey is at this time! I go…great! I walk over to my computer, Google Dave Ramsey and it says based in Nashville, Tennessee. Fantastic, I don't have to move! This is my story I'm sticking to it!! I had never heard of this man and I heard this word, and the craziest part was I called my best friend Jenny and she knew I had been searching. She picked up at work and she's like ‘Convention and Visitors Bureau, this is Jenny.' I was like I know who I'm going to work for.She's like who? I said Dave Ramsey. And she said I knew you were going to say that. We've NEVER talked about Dave Ramsey in our friendship!! So it's just a crazy story, everyone's story is not that but it's a crazy story. So I actually applied. For a youth project coordinator position. So when I was at the YMCA I was the Aquatic Director and then the District Aquatic Director so I did a lot of programs for kids and youth, had a background in Young Life and just had a lot of work with youth. So this was a really natural fit, I would be just doing products versus program. I came in and I would say within my first 6 months I was doing like the Bible studies, the piggy banks all that stuff and Rachel Cruze, Dave Ramsey's daughter, this is where we get into part two of crazy story, Dave Ramsey's daughter Rachel was a senior in college. and she was going to be graduating in May and coming on our team. We were about 200 people at the time to be the face of the youth and teens. Now there are no other personalities, there's no other leadership besides Dave's main leaders. But she had been a speaker as a teen and some of his like youth Bible studies. It was like oh she's going to be the face of our youth and teens and that's as far as we thought this through. Well, someone to my team in the publishing department and product department had signed Rachel up to speak at this conference and it was called the Christ In Youth Move Conference. It was 20 dates over the course of the summer, all over the country. So you were in different small towns, all over the country and we're like well this will be a great experience for her to kind of get dunked in the deep end of speaking, you know strengthen those skills. The whole arrangement starts to proceed through the spring of that year, the spring of 2010, and Rachel graduates and two weeks before she's supposed to go on the road, which is right after she graduated we get the travel schedule from the conference. Now during the whole spring I had inherited this ordeal somehow, I didn't set it up but I inherited it. I got to be the new liaison and we get this travel schedule and Stacy it's a nightmare!! They had booked Expedia or some cheap flights where you had two and three and four connections, you're in an airport for hours a day, it was a nightmare. So Dave looks at the schedule because it's a different state per day, so it wasn't like you got a break. He looks at the schedule and then a lot of wisdom, he said she's not doing this. This is too much. She's newly married, newly graduated right out of college, she's not going to go on the road two weeks later and do this, no one should have to do this schedule. And so he said here's the deal. She can do 10 of the dates. They can pick which 10 she does but she can do half, she can't do this, this travel is unrealistic. I got to be the bearer of bad news and go back to the conference and say Hey, I'm so sorry…I know your conference starts in two weeks but she's not able to do all of them. I went back and I hadn't really thought through how this was going to go, I just thought through like delivering the bomb and seeing what happens from there. I say she can't do all 20 she can do 10, you know you can pick the 10. I'll never forget the man I was working with, Chase. He said ‘Christy…what am I going to do?' He said I don't have her booked for 10 keynotes, I have her booked for 20 keynotes and it starts in two weeks. And I said I'll do them! He said, ‘can you speak?' I said I think so. I've never spoken in my life!!! I'm just a problem solver, I didn't ask permission, in hindsight I was like what I had some nerve! That's actually what happened though, I went on the road that summer, I went to every single event that Rachel went to and then I flew to the other events and did the speaking myself and it was a grind! At the same time at our company was realizing a real need for more speakers because Dave, himself was turning down 3,000 speaking requests a year that he couldn't do and this is back when he was speaking a lot. So they created something called The Speakers Group and it was 5 men, 2 women, Rachel and myself, no audition, no interview, no application, they just slid me in because I'd done such a great job that summer. Here's a really important takeaway for your audience and I've been teaching this recently because I think this is really important. I think that's why when we're a little young and naive sometimes and we're so willing to do it, I kind of miss those days because now it's like oh I don't know…we self sabotage sometimes because we think who am I? Why should I be doing this? So you've been getting good at it because you've been doing it these last 9 years, where you have been speaking out in front of the camera. I always ask people their backgrounds, because I just love hearing it, you never know what's going to come out! Now, you just brought up planning, this perfect plan, this road map. It's the beginning of 2019, let's talk about our perfect roadmap for 2019. Maybe we've already written our goals. We know we want it to look. What do you do for goal setting? I'm curious what that looks like for you and then what do you do when it doesn't go as planned? Christy: “I'll give you an example of last year actually 2018, one of the goals that I set and how I had to completely abandon it. That's hard for me because I'm a really goal oriented person and so I tend to hold my feet to the fire even if the whole world has changed around me all the things that set up that original goal are no longer true I'm still like I gotta do it! I think a lot of people are like that. Last year I had been having a lot of knee trouble through the fall of '17, spring of '18 and I was going through rehab, doing everything I need to do to strengthen it, so that I could run the Country Music marathon. Now this doesn't seem like a big deal but the Country Music half marathon is a special thing in my life. I met my husband training for it. We ran it together the week before our wedding and I run it almost every single year. So it's a really special race to me and I try to run it if I can! So I was going to rehab, physical therapy, trying to get my knee back and I felt like I was really getting it back and I was feeling really good. I was doing all my exercises, all the very annoying physical therapy exercises that no one gets excited about, but I was doing them because I really wanted to be well so I could run this half marathon. In March and on Sunday I did my long run for that day and I had been behind on my training because of the knee and so I was kind of playing catch up and I ran seven miles that day and it was a really strong seven miles like I was in the 7:00/7:30 mile range, really fast for me. I was just on top of the world, I was like yes! I'm gonna be back, I'm going to do this! I'm just feeling really, really good. Monday morning I get on a flight to go to Salt Lake City for our first Business Boutique one day event of the spring and a man drops a suitcase on my head and I get a concussion. I've never had a concussion. I didn't know what was wrong with me. I couldn't say my name. I couldn't touch my nose. I was blurry. People would ask me questions and I would just stare at them. It was this really difficult recovery process that lasted months to get myself back to good. And one of the most important things you could do when you have a concussion is rest and not read and not think. So I had to just completely abandon that goal and I had to completely cancel my race entry. Now that's an extreme analogy or an extreme example rather. But I think it's really important to set goals at the beginning of the year. But goal setting for me is not a set it and forget it. It's a set it and revisit it. Every single month, you're revisiting those beginning of the year goals, those annual goals and saying what do I need to do this month, toward that goal and is that goal still right? Is that timeline still right? Is the why of why I set that goal still there, because I always encourage people to not only set a goal that is specific, measurable and has a time limit but also write out your why are you chasing that dream? So when the suitcase incident happened, I hope it was after the Business Boutique event?! Christy: “No, Stacy!! It was on my flight there! I went to the clinic to get assessed, I'm like trying to fill out paperwork and I couldn't fill it out. He's doing all these tests like they do with football players, trying to get me to touch my nose. It also makes you highly emotional, like I'm emotional anyway, so when I'm standing in this clinic and he asked me to touch my nose and my hands go to my chin, I just start bawling because you're scared you're thinking, I'm telling my hands to touch my nose and they're not. So I had a really honest conversation with them I said listen, I know I'm not supposed to think, I know I'm supposed to rest and sleep. I can't do that. What I'm going to do tomorrow is actually the exact opposite. I'm reading stage notes, I'm hitting times, I'm hitting clocks, going through slides, I'm teaching all day. I said can I do it? And he said you can do it…but you have to go slow. He goes if you try to go fast your brain cannot keep up with your speed, you have to go slow. If you go very slow you can do it. So that night, Meghan, who runs all my A.V. and production, behind the curtain, you know with the slides and stuff. She came to my hotel room and we sat there and we stripped about 50% of the time. We're saying sorry Salt Lake!! You got half! Just so I could slow down so I wasn't forced to rush because it's already cram packed so we're like we're gonna give me room to breathe and I still did some things, but no one knew because I wouldn't say it. I was like if I tell this audience, they're going to be so concerned about me because they're my tribe, best friends. They will be more concerned about my well-being than even hearing the content. I was like I'm not gonna tell them unless I absolutely have to and there was one point when I was going through the business plan and I was talking about the tiers. Now it's time for Tier 3. Tier through. Tier 3 and it's like Oh, S**t. Anyway I just kept going!! What's funny is, it's so easy to make excuses and say, oh I can't do this because this and you have a concussion and you were hosting an event for an entire day. I mean, I can't even imagine! It's scary enough and there's so much anxiety about doing it when you're fully present and you know your brain may not be able to catch up. If you would have swapped somebody out the next day, I mean there's a lot of people that came just to see you and they would be happy just to see you. They don't need you to speak, they're like Christy's there! I just think it shows you your ability to go, I'm doing this. I want to be here for my audience, my tribe, so what a cool story and just another example of stop making excuses! It's really easy to let things get in your way and that's a pretty big deal that you did that. So as you were looking at like last year and you're going OK I couldn't do the marathon, I couldn't do this, how hard was it to slow down and what did slowing down look like for you after that concussion? Did it affect business? Did things change? I just stared at her. She said, I said, ‘What do you say?' I said I heard you, I'm just trying to think of the answer, like I know this sounds crazy but thinking was hard. But if you have something going on in your life, a health scare, a struggle in your marriage, your child is on the verge of getting kicked out of school, you're not bringing your A-game to your business and that's ok though. So for you to understand when and where and how you can and should push through, push through when you're not there. When I couldn't come up with an answer for a question because my brain was not working, when you are so distracted because your child's principal is calling you on the phone, give yourself grace there because I think we have this idea that we can compartmentalize our life. We have a work life and home life. I'm very vocal about my goals. I'll tell everybody that wants to hear about my goals. I'll go on Facebook and when you talked about abandoning your goals and sometimes it's hard because you told people and now you're going, I don't want to look like somebody who's just talking about it. I want to make sure they understand. So have you ever had to publicly abandon some of your goals that you told people and what are they going to think? How do you get through that, what do you tell yourself and what do you tell your tribe? Christy: “I've talked about the marathon and that was one for example. But years ago I ran the Country Music Marathon around the country. This was in 2000 and actually I was training for the fall Country Music Marathon which is 26.2 miles. I had the goal to run it in 4 hours and that was a realistic goal for me, with the stretch goal but it was realistic based on what my pace is in that type of thing. It was not my first full marathon. I've done other full marathons and on that day, on race day it was the most torrential storm with lightning bolts like there's police in trench coats with megaphones going turn back now. Well of course we're at mile 21. First of all, we've made it 21 miles. We're not turning back, we're a little delirious and we're not thinking clearly so we're like I don't know who you are in the trench coat, I'm just gonna keep running. Anyway, at one point when we were supposed to turn left, the road turned right. They had it blocked. Well we just followed the crowd and because you seriously are not thinking quite clearly when you run that mileage it took us about a minute delay and then everyone around me kind of in my world, running at the same pace we got to the water stations. Wait a minute…weren't we supposed to turn back there and it clicks they'd shut down the road because they were shutting down the race. So across the finish line at 22.5 miles and I was really discouraged because in my mind I did everything I could to continue running even in the rain to push through. It was out of my control and so I'd said on my blog like publicly for our marathon, I really wrote about. What it's like and I talk about this in my book, Business Fatigue, what it's like when you fall short. I think it's easy when you fall short to feel shame. What I encourage people to do is to look at what they did do. I ran 22.54 miles that day, which is more than most people will run in their lifetime. I love that! When it's so easy to, like you said, look at we didn't hit or oh but I wanted this…yeah, but you're the one that made up this random number of 10,000 so who's to say that was the number you were supposed to hit? So you have to give yourself a little grace because we get very caught up especially in the numbers, it's very easy to pick a number out of thin air and then get very upset when you don't hit it. Christy: “I will say to that, I think with goals especially with social media there's this idea that it's like this money too. Ironically, when it comes to things where we can measure them by numbers, I think we believe the lie that there is a number at which we will feel like we have arrived. And there's not. There's not an amount of money you will ever make that you feel like you've arrived. There is not an amount of Facebook followers that you will hit that you will feel like you have arrived. It's always more. The way I describe it as the finish line always moves you get there and it moves. You get there and it's never enough. You get there and you need more so. So if you understand that you're chasing a moving finish line then you can be proud of where you are today. You can set goals. Absolutely set goals. But there was actually an interesting study done around the money side of this which you can apply this to anything, and researchers wanted to understand people's perception of richness. What qualifies someone as rich. So they interviewed a couple that made $100,000 a year and they said are you rich? Are you wealthy? And they said us? No, no. And I said okay, well what amount of money would you need to make to be rich? They said $200,000. If we made $200,000 here we'd be rich. I said okay. They went to a family that made $200,000 a year and asked them, are you rich? They said no. What amount of money would you need to make? $400,000, if we made $400,000 a year, we'd be rich. They kept doing this again and again and again going to that next income level until they got to a family that made $5,000,000, a year. And they asked him, are you rich? Are you wealthy? They said no. And they said, well what amount of money would you need to make to be considered rich? They said 10 million, every single time it was double. So do you want to know how much money that you need to feel secure more than you have right now? Do you wanna know how many Facebook followers you need to feel like you've arrived? I totally agree and I feel like there's all these numbers whether it's our gross revenue or our profitability or the social media followers. When are we ever going to say good. I did good this year but to stay there, never. Especially when you have this entrepreneurial spirit where you're just wanting more and want to be a better version of ourselves. It's so easy to keep moving so I always tell people, this isn't a race, it's a marathon. They say that about vacations, that it's the anticipation of earning a vacation is better sometimes than the vacation itself. Last question I want to bring up with you is, this year you came out with a journal, like a planner and this is something you've never done before. So I want to ask you, putting something out there, new, there's going to be a lot of people this year in 2019 coming out with something that they've never done, having the fear of the unknown, are people going to like it? How was that for you this year. Is it a gamble? Christy: ” It's always a risk. Anytime you do something new it's a risk, it's a gamble. You don't know if it gets a conversation with the marketplace and you don't know until you put it in the marketplace and you get feedback. So like when I got my first few Amazon reviews I was like, oh look, I was so excited because there was a new thing and the marketplace was responding. So I will say this my biggest takeaway from building the planner and the planner I really do feel like is so beautiful and what I want and what I would use and what I am using and so on, but it took us a little bit to get there and what I mean by that is, we were trying to deliver something to our tribe, to our audience that we knew they wanted and would use and that's a planner. My audience loves planners, they love highlighters, they love organization, they love all the things. The only problem is I don't use planners. I don't personally use calendars paper calendars. I don't do that. I use my phone so I thought, okay, I'm not going to create something I wouldn't use. I'm not going to create something that I can't stand on stage and say, this is my favorite! I use this, I love this. So how can I find a middle ground between what they want and what I would really use that I can believe in and stand behind. So then I started thinking, why don't we use paper calendars? I use my phone. But, here's what I do. I read books to grow for personal development. I use workbooks if I'm doing a Bible study. I'll fill in the workbooks and the answers to the questions. I journal for goal setting. But that's what we created. So it has content every single month that teaches them a topic and then it has questions for reflection so actually kind of like a workbook to put into practice and reflect on and there's templates for them to use the worksheet to put it into action. 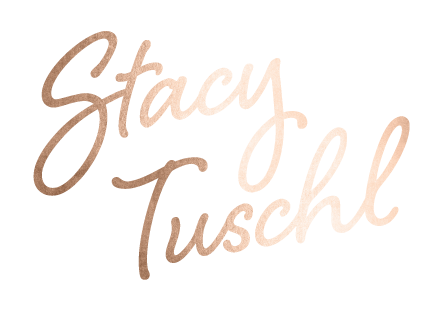 I hope you got some big takeaways from Christy and be sure to tag me on Instagram, @stacytuschl and share them with me!